As a result of this, the Department of Transport is looking at the possibility of giving the green light to individual local authorities to reduce the parking fine levels for more minor contraventions. Over recent years, a variety of commentators have regularly highlighted that there is often no difference to the fines levied for serious speeding infractions and minor parking violations, which is inarguably inequitable. In addition to the reduction in penalty charge notice fines, the government is also considering introducing a longer grace period before the charge automatically rises if it has not been paid. Under the new plans, local authorities will also be required to publish their parking records annually in an attempt to make the process far more open. Currently, fines for violating parking fines vary depending on whereabouts in the country you live. 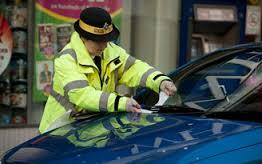 London is the hardest hit, with fixed-penalty notices ranging from £70 right up to an eye-watering £130. Across the remainder of the UK, charges range between £40 and £70. The length of time during which a reduced charge may be paid also varies significantly from county to county. In December 2013, penalty charges were frozen for the duration of the current parliament by Patrick McLouglin, the Transport Secretary. At the same time, a public consultation on a wide variety of parking issues was published. This includes key subjects such as whether the use of close circuit cameras in the enforcement of parking rules should be abandoned, the introduction of a standard grace period at the expiration of parking metre parking times, and a review of the necessity or otherwise of certain yellow lines. This wide ranging consultation is due to run until 14th February, 2014. Estimated figures for the surplus raised by local authorities vary, but the RAC Foundation put the grand total at a huge £565 million. It is worth pointing out that it is against the law for local councils to set fines for the purpose of raising revenue. Chairwoman of the Transport Select Committee, Louise Ellman, has hailed the new consultation as a step in the right direction. Like so many members of the general public, she is of the opinion that a reasonable, fair penalty charge structure is imperative. She also believes that local authorities need to be utterly clear about precisely how much revenue they receive directly from parking fines and exactly what they are doing with the money raised. She is backed in this by the Director of the RAC Foundation, Professor Stephen Glaister. He echoes her demands for proportionality, transparency and a far less nebulous charging structure, plus the obligatory publication of council parking accounts annually.